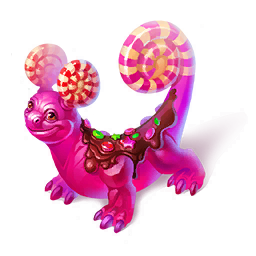 Every dragonologist knows that these life-loving sweet candy bars need special living conditions: you can only house Caramel Dragons with dragon species that don't have a sweet tooth. An exception can be made for Tea Dragons, who protect their sweet brethren like the apple of their eye. How to Breed Caramel Dragon? Find out how to breed Caramel dragon with the How to Breed Calculator!